THE EVTOLs ARE COMING – AND THEY NEED ACOUSTIC SUPPORT! It starts to be interesting! The eVTOLs are coming – and they are coming sooner than you think! 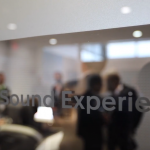 For us at Creo Dynamics, this new market is really interesting given our 20+ years heritage and competence within both aerospace and automotive, acoustics as well as aeroacoustics. The new eVTOL’s will certainly have very high acoustic requirements – both externally as well as internally. Yes, there will be less noise when an electrical VTOL fly by above your head compared to a traditional helicopter. But to reach the same noise levels as a car drive-by when flying on a 100 m altitude – expected regulatory demand 65 dB at 330 ft! – will require a very well designed aeroacoustic performance! Creo has worked in this field before, and we know it is a great challenge, indeed! It requires a lot of work, and it is not impossible. The passengers will expect that the ride should be as comfortable as in premium cars – seating, climate and sound. And, the eVTOL’s will in most cases be ride-share vehicles. This means that a high-quality sound environment and privacy will be required. 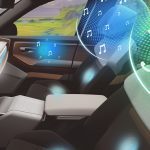 There are already solutions that can be applied to reach this; – For example, the combination of global active noise control in the cabin and personal sound bubbles through headrest solutions. The first global active noise control system in an aircraft was actually applied in the SAAB 2000 Turboprop already in the 90’ies by our team – it has of course been up-dated since… The sound bubble concept was on display at CES 2019 by Faurecia in collaboration with Creo – with great success! The eVTOLs are coming, and we are looking forward to it!